If you're a resident of Dubai, you've probably heard of Modhesh World. 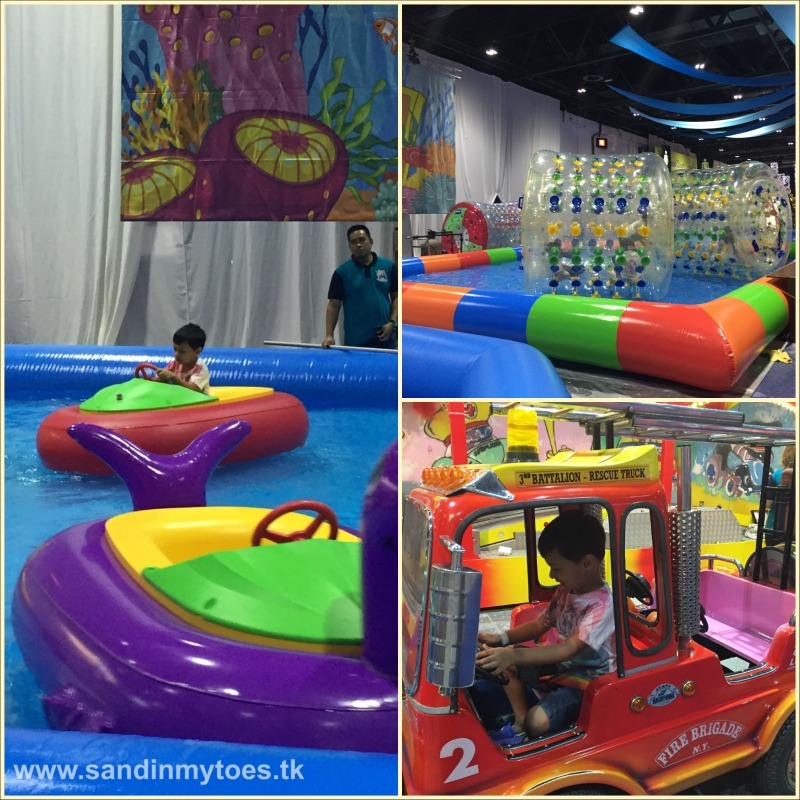 This indoor entertainment and play zone for kids is a family favourite in the summer. All 34,000 square meters of it, because this place is huge! I hadn't taken Little Dude there yet, wanting him to be old enough to really enjoy himself. So we went this year, and it was a fun experience. The best thing is that it's indoors, so you can completely forget about the searing heat outside. 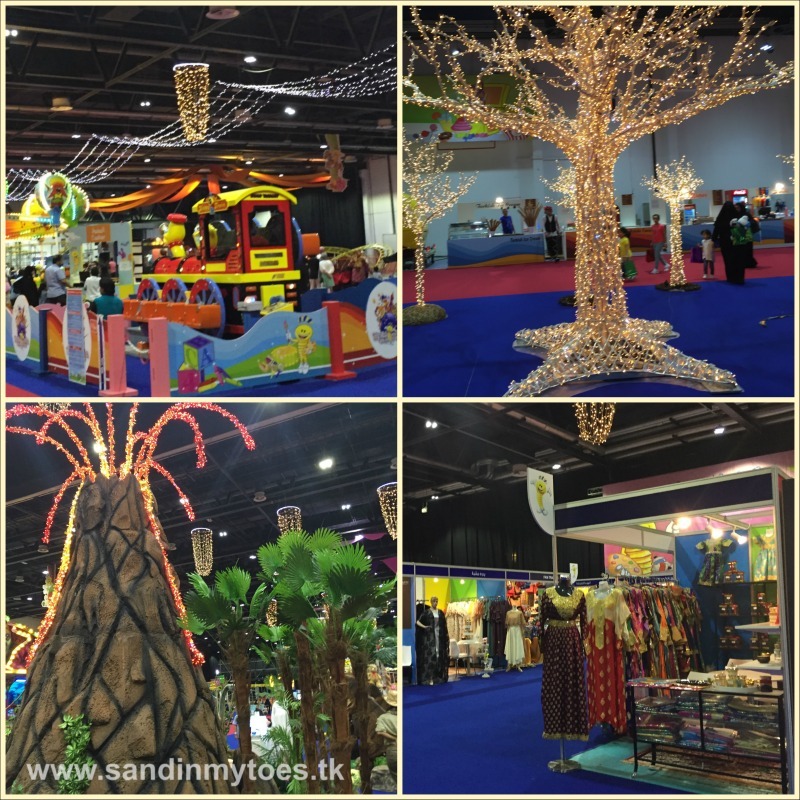 Entry to Modhesh World is AED 20 and kids under three go free. Once in, you have to buy a card and load it with money to let your kids enjoy the rides and the food. Little Dude liked the smaller kids rides, especially the water boats. There are lots of rides for young and older kids. This is only the first section of Modhesh World. Further on, lots more interesting attractions open up! We then headed to the bouncy castle, and tried a few other rides. The Dinosaur Park with a volcano was interesting, where you can get a picture taken with dinosaurs! We liked the 'light' trees too, which were a favourite with adults and kids as well. There's also a little shopping area with stalls for the parents to shop while the kids play. Around the time we visited, we caught the parade with artists, and Modhesh himself. There are also many stage shows lined up during the day, especially during weekends. 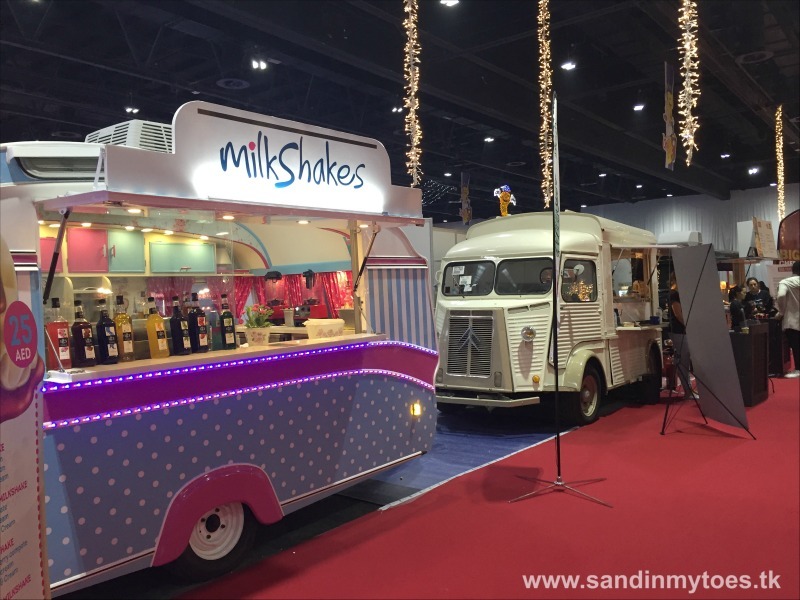 All that playing makes the kids hungry, and it's good to see that there are some nice food trucks serving diverse and interesting fare. Check out my fellow blogger Tasneem's review on the food available at Modhesh World on her blog, Thoughts Over Chai. Time went by very quickly while we were there, and we didn't even manage to see the whole place and will have to go back! 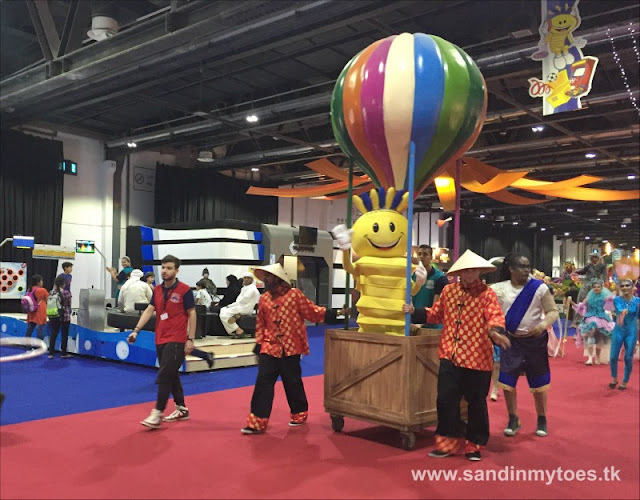 Modhesh World is open until August 27 at Dubai World Trade Center. Paid parking is available, or you can take the metro. It is open from 10 AM until midnight on week days, and until 1 AM on weekends. We were invited to visit Modhesh World, but all views and opinions are my own.